Written by ehtcadmin on May 22nd, 2016 May 22nd, 2016 . 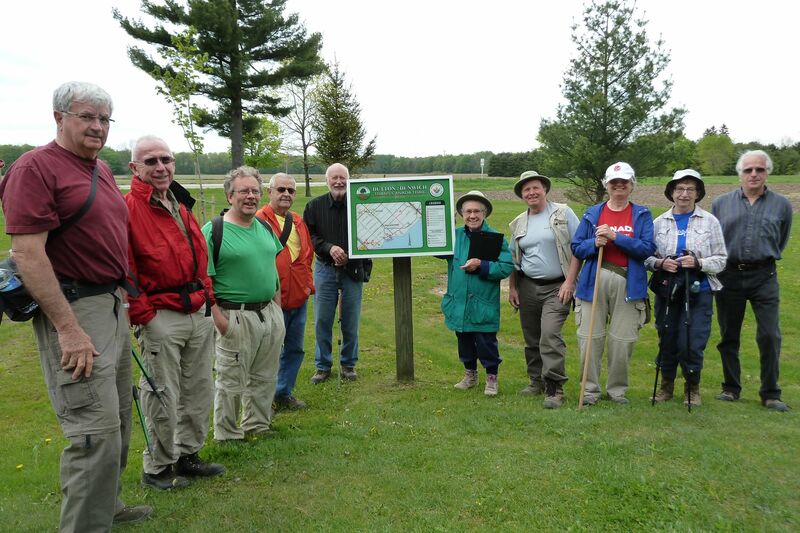 Group at start of Dutton/Dunwich Trans Canada Trail End-to-end. Eleven of us starting the end-to-end of Dutton/Dunwich Trans Canada Trail. The weather was cool yet quite comfortable for the 9.4 km hike this morning. There were many spring flowers in bloom and the birds were singing away. The maintenance folks were busy this week as we could see signs of at least three bridges being recently repaired. The hike was planned to end at Backus-Page House to take in The Road To Culloden, a Scottish living history event in 1745 following Bonnie Prince Charlie and his loyal Jacobites in the quest to reclaim the throne. Thanks to Marg for planning the dual event.